The CCJ will deliver judgment on this matter concerning applicable tariffs on imported cement. Judgment will be delivered in this matter were the appellants invested in CLICO but were not paid their entitlements. They obtained a default judgment against CLICO from the High Court of Dominica and sought to enforce that judgment in Barbados. However, CLICO appealed to the Court of Appeal and the appellants’ permission to enforce the judgment was denied. The CCJ will hold a pre-trial hearing of three cases arising from the recent no-confidence vote in Guyana in which 33 of 65 members of the National Assembly voted in favour of no confidence motion which meant that elections should have been held within three months. Those results have been challenged in the High Court and the Court of Appeal. The substantive hearing is set for 10 May 2019. 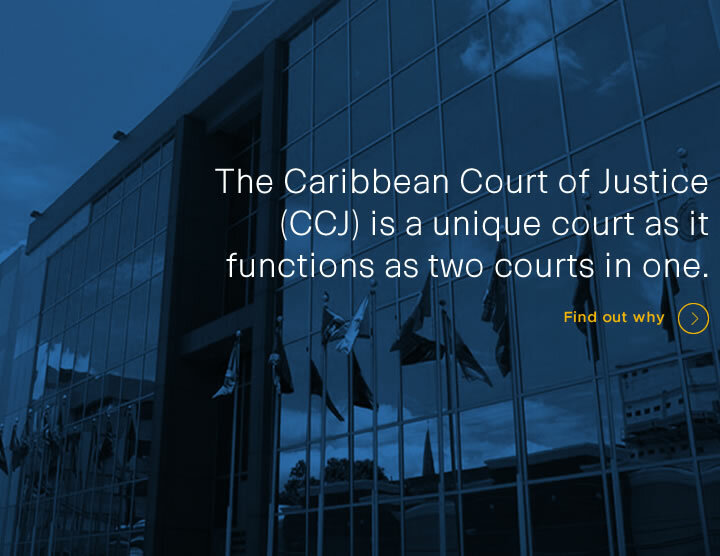 A final court of appeal protecting the rights of citizens from the 12 CARICOM states. All you need to know about the Court in one place. Copyright 2019 Caribbean Court of Justice. All rights reserved.